Safety is our priority. We ensure your child's safety though a strategic check-in process. Every Sunday morning we have a security team on site that is monitoring the classrooms. All of our team members have gone through a background check process, as well as specific training for each age group. Q. Where do I check-in my kids? A. Towards the end of the Mall Area, you'll see a check-in counter. There, one of the KidZone team members will help you check your child in, and you will receive a tag that you can use to pick-up your child after service is over. Q. What is the wellness policy? A. To ensure a safe and healthy environment for every child, we request that parents take responsibility for making sure their children are well before coming to church. Please make sure children are symptom free for at least 24 hours before bringing them to their class. Q. Is there a place to nurse my child during service? A. Absolutely. 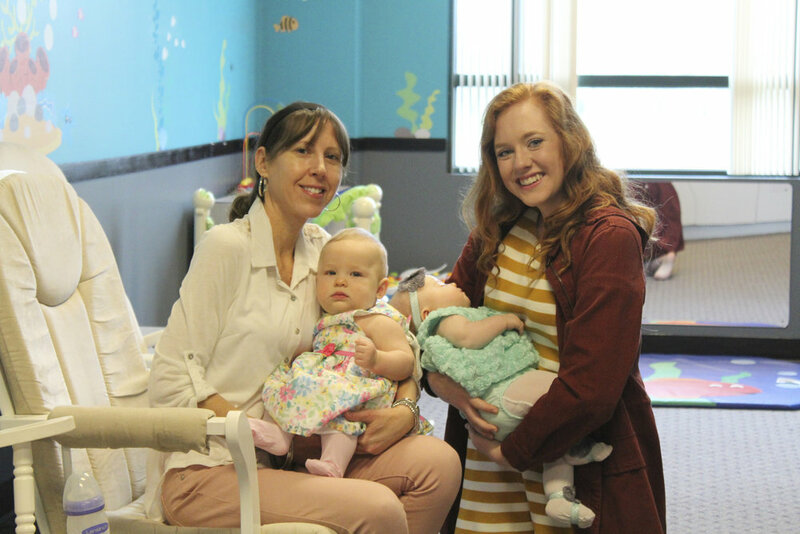 Next to the toddler's room, there is a "Mommies and Babies Room" that is available for nursing mothers. There, you'll find rocking chairs, a changing table, and a live feed of the service so that you won't miss a thing! We provide age-appropriate settings for the kids who come to Evangel Church so they can learn about God and build lasting friendships. Here is how we breakdown our classrooms. Click here if you are ready to have your child dedicated to the Lord!